When an inbound call isn’t answered you can play a voice mail greeting and record a message from the caller. And voice mail notifications are displayed on their own panel in turboDial where you can play them back and delete them. 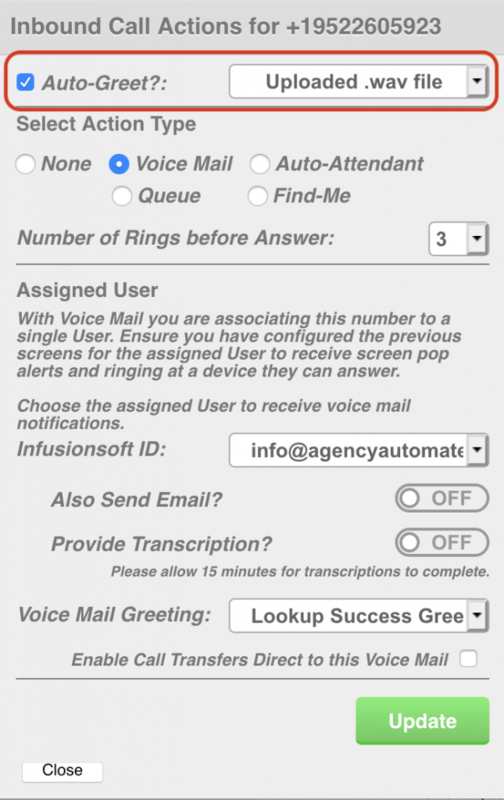 Voice mail notifications can also be sent via email. Click this link to download the slides used in the Video. The turboDial Mobile (native) app allows you to receive an immediate notification when a voice mail message has been left for you in turboDial. And you can also listen to the voice message directly on your mobile device.